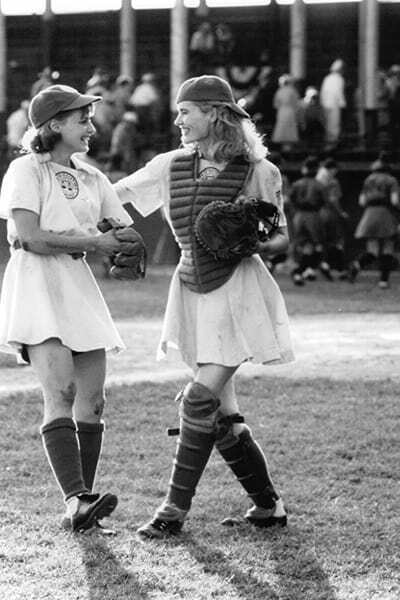 Am I the last American female who had not seen A League of Their Own (1992)? 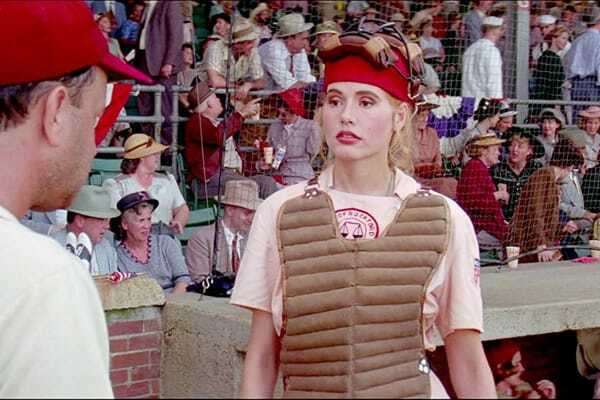 Somehow I missed it when it was in theaters — maybe I thought “baseball, bleh” even though it stars a ton of actors I enjoy, like Geena Davis, Rosie O’Donnell, Tom Hanks, Lori Petty, even Madonna. 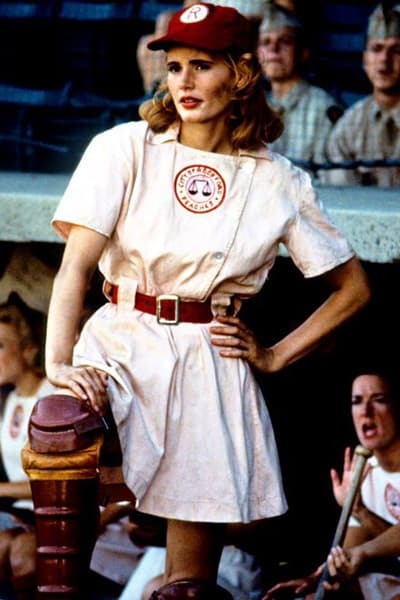 And locally, friends have recreated the Rockford Peaches uniforms and the Greater Bay Area Costumers’ Guild held a League of Their Own picnic. Well, I finally caught up with the movie on cable, and yes, it is adorable and just the girl-power boost I needed. 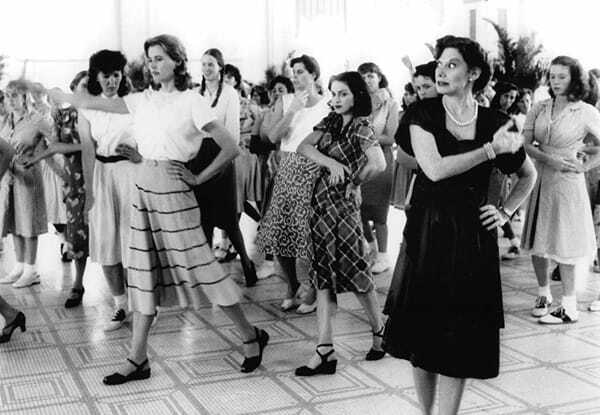 The central relationship is between the two sisters, Dottie (Geena Davis) and Kit (Lori Petty), but other women have strong subplots. Throughout the film, relevant, if subtle, points made about the gender wage gap, childcare burdens, and other women’s rights issues. It’s by no means a preachy movie, but simply by pointing out how much women can do when we are allowed, the message comes through. Plus, the dialog is funny, the plot is snappy, and all the actors are enjoyable to watch. 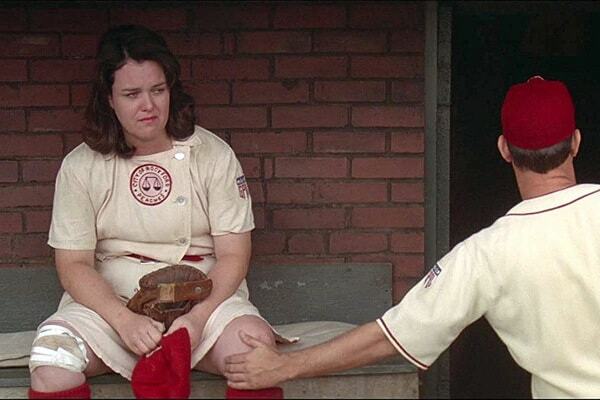 The main male character, team manager Jimmy Dugan (Tom Hanks), is by turns ridiculous and incompetent, although later sympathetic. But he’s not anyone’s love interest. The only real romantic storyline is for the least-likely woman or is about relationships referred to off-screen. Costume-wise, it’s all about that uniform, sure. Though I have to say, I most enjoyed a look at all the individual team uniforms the girls wore to try-outs where they wore more practical knickers. Those uniforms also showed the different color combos and logos from each person’s hometown to reinforce the idea that everyone was coming from around America. Nice touch. 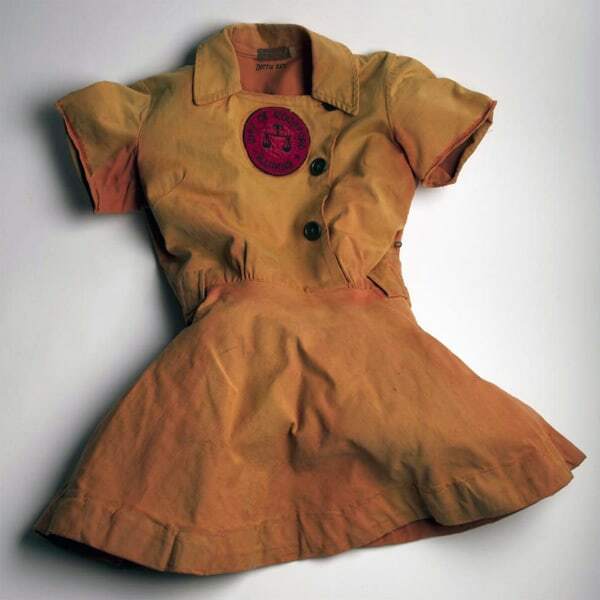 While the characters in the movie are fictional, but designer Cynthia Flynt recreated the exact uniforms for the All-American Girls Professional Baseball League to give an air of authenticity. 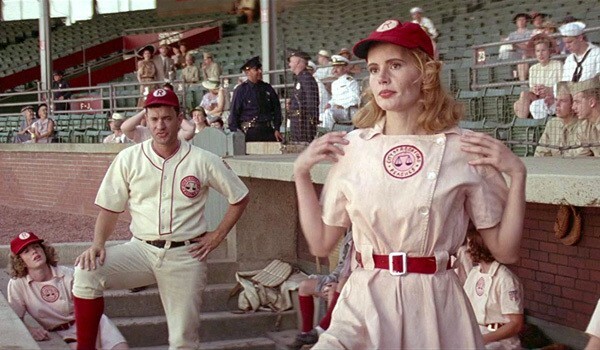 Geena Davis sports the full Rockford Peaches uniform, plus catcher’s gear. 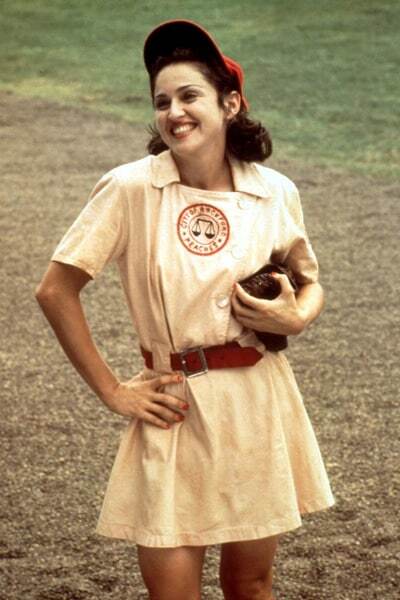 Madonna looking cheeky in her sports kit. Rosie O’Donnell in uniform with a busted knee. It wasn’t all uniforms and rough going though. The ‘civilian’ clothes beautifully fill out the background, and the costume designer used quite a bit of vintage garments to add authenticity. Love all the hats on the crowds, so appropriate! The players at ‘charm school,’ which really was required. Kit may be the ignored little sister, but she has a fancier dress and shoes. Madonna in a cone bra, act surprised! That tropical print though is very ’40s. OK, since everyone else saw this movie already, chide me for having just caught up! I caught this on TV many years ago. The first scene that comes to mind is someone taking a feather duster to a player’s skinned thigh to make it look nicer for the photographer. Shame the period uniforms didn’t provide enough leg protection. Don’t fret, I still haven’t seen it, despite the amazing cast because, um , baseball. I still havent see PRIDE OF THE YANKEES either, despite Gary Cooper, for the same reason. But I may have to see LEAGUE at long last based on this review. You’re a great advocate for it! 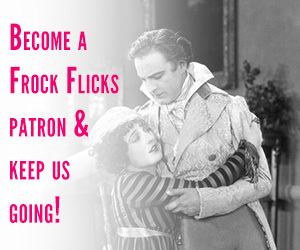 It’s a wonderful film – one of my favorites! I’m so glad you finally had the chance to see and review it! The wardrobe was spot-on for WWII, and I love the attention to detail, including the period-correct accessories and undergarments. Plus the script, the music, the filming locations, the cars, even the tour bus, all worked together to tell a great story and transport you back to that era. I was most impressed with the older women they found to play the stars’ counterparts in the current day – they looked so much like them, you wonder how they did that! No corners were cut in this production, and for that, we can thank director Penny Marshall – she’s one of the best! I haven’t seen it either and I love baseball…was at the Phillies game last night! My husband saw it in the theater while I stayed home with our sick daughter. Guess I should have made him stay home with her and I should have gone! I adore baseball, and this is my favorite baseball movie hands down. In the Hall of Fame, they have a whole room for the real League, with the original and movie unis side by side. 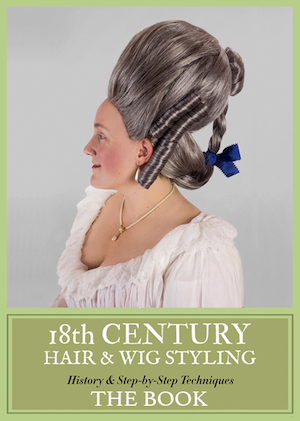 Thank you for profiling it! I love this movie! I saw it many times on video as a teen. The writing, acting and production were all top notch. As an adult I appreciate that the women are important just for themselves. I also am a fan of this film. 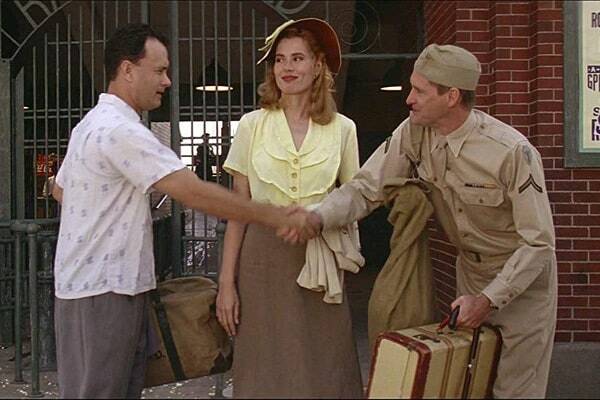 I remember how great the comaraderie between the actors was in this film. 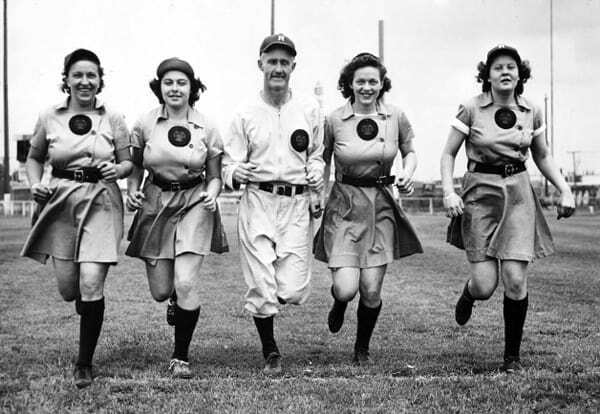 And besides the baseball, I admired how Ms Marshall wove the different subplots – working women, women’s response to wanting to do ‘their bit’ during the war, and what it takes to play major league ball. This and Bull Durham are my favourite baseball films. When will they make biopics on more female athletes? Olympic Gold Medalist in figure skating Dr Tenley Allbright and Olympic Bronze Medalist Dr Debi Thomas come to mind. You could try The Mighty Macs, about a tiny Catholic women’s college outside Philly winning the NCAA tournament in the 70s. They have skirt uniforms, too. 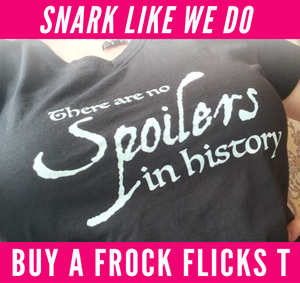 ;) The movie is … predictable, but still feel-good. It’s a great film—genuinely enjoyable watch not in spite of the ideas/messages. 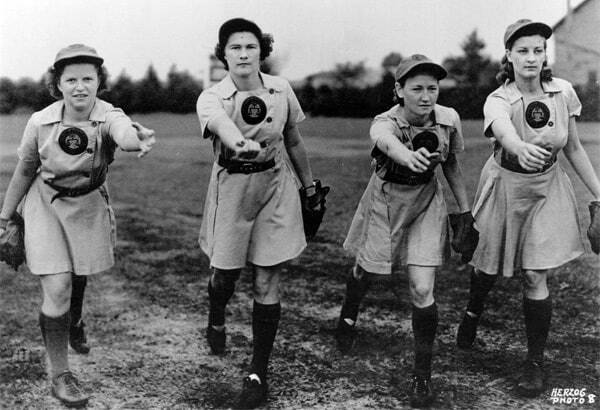 :-) I’ve been thinking about making an outfit modeled on their uniform but to cheer my MLB team (so, maybe with pennants for the skirt, or something).